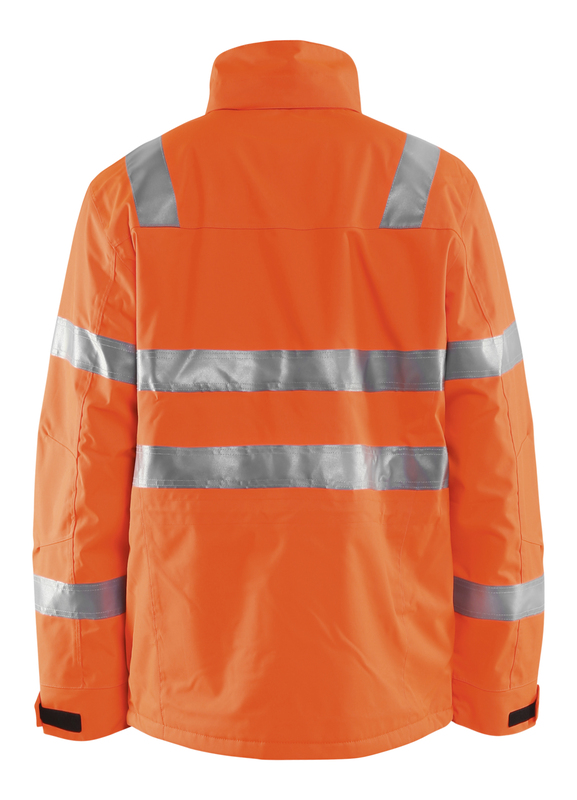 Make sure to be visible in a light but warm high vis parkas made in a breathable wind and waterproof material and taped seams. 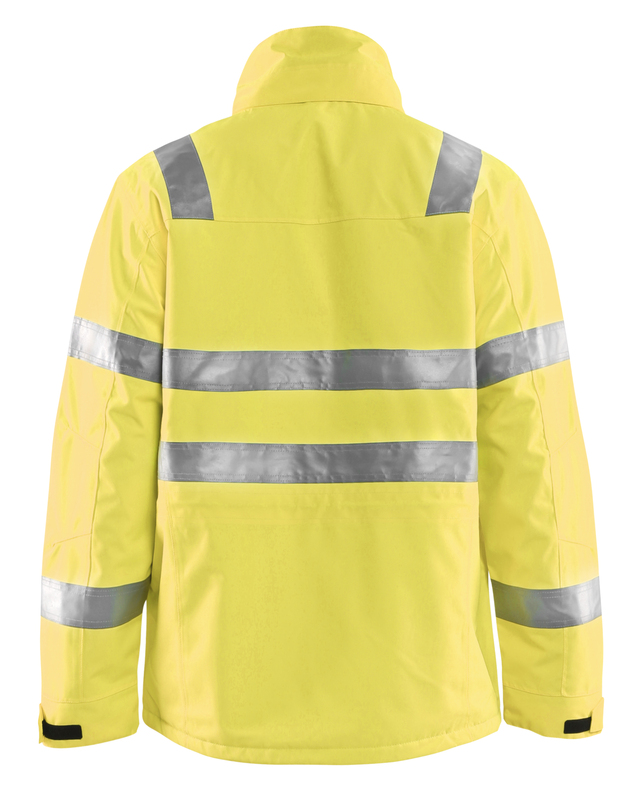 The parka has a classic fit and is adjusta-ble back in the waist. The arms are pre-curved to provide increased comfort. The chest pockets are fleece lined. 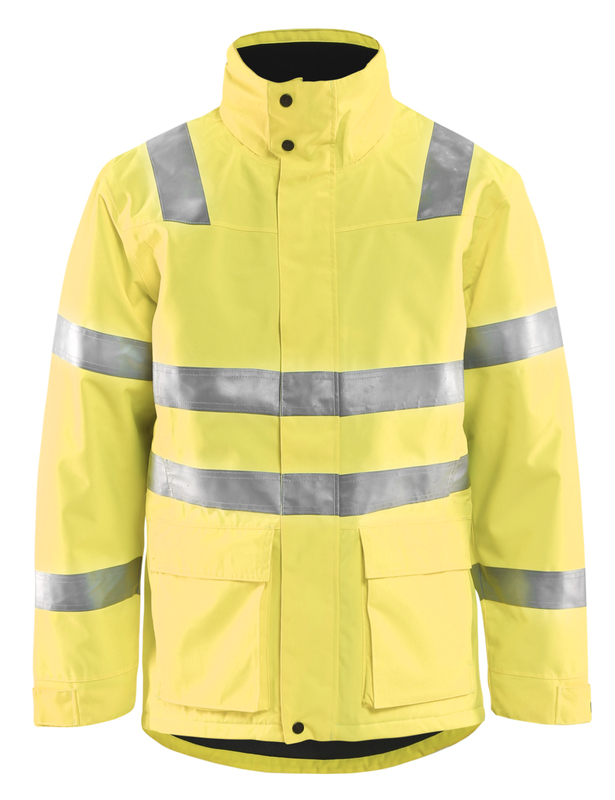 Perfect to wear in cold weather conditions in which you must be visible. 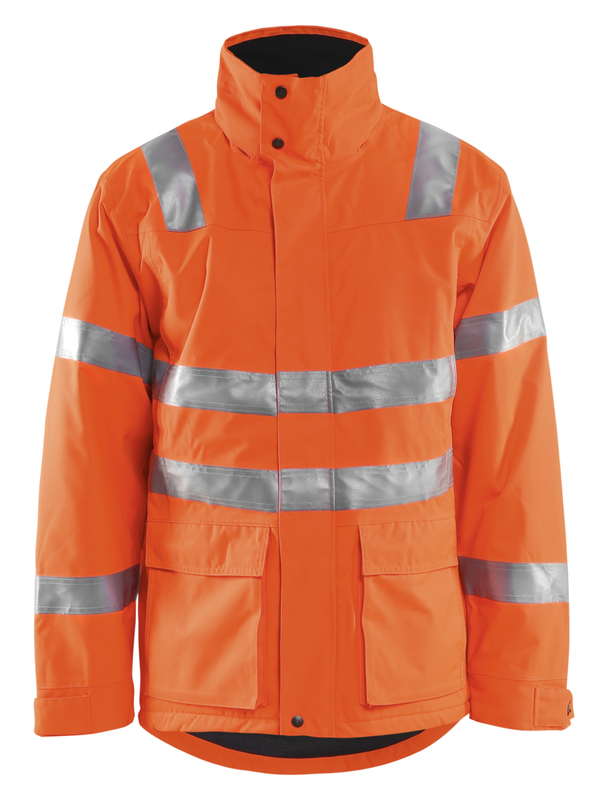 The parka is certified according to EN ISO 20471 class 3.